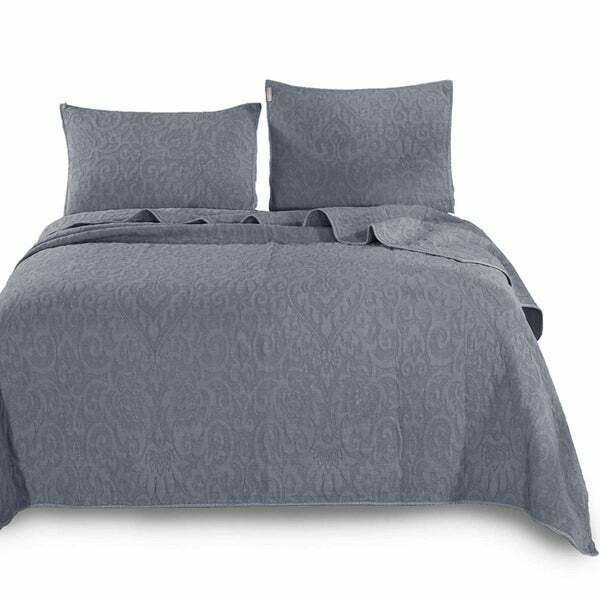 Kasentex Ultra Soft Stone-Washed Quilt Set, 100-percent Cotton. Contemporary Stitched Floral Design. Enhanced: Add classic style and elegance to your bedroom with a solid quilt set. The super soft material is stitched in a knit construction that creates lightweight, durable quilts for use year-round, all-season use. Solid color and stonewashed technique makes the quilt set soft and smooth, which is also easy for machine wash.
Material: Cover Front 100-percent cotton; Back 100-percent cotton; Fill 100-percent Polyester Fill without any harm to your skin, the quilt set with the nostalgic design invite you to have a good sleep. Dimensions 88.0 In. X 90.0 In. X 0.4 In.